Flaxseeds Vs. Chia Seeds: Which Should You Choose? FlaxSeeds Vs. Chia Seeds: Which One Should You Choose? With the passage of time, due to evolution, pathogens that cause various diseases and the processes and effects by which various disorders manifest have also changed. Keeping these changes and the ever-evolving characteristics of life on the earth, there is a need to find ways and methods to tackle health issues. Since many people choose herbal or organic medication over allopathy nowadays, one needs to find the sources according to these preferences. Various studies and experiments have found out that mere seeds- yes, the very seeds of plants can help cure or manage so many health issues. There are many seeds that have been discovered to have healing or beneficial effects, however, in this article, flax seeds and chia seeds would be taken into account. Flaxseeds vs. Chia Seeds: Who wins? Flax seeds come from the plant Linum usitatissimum, usually grown in the cooler parts of the world. 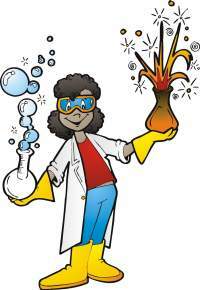 Everyone has heard about “Linseed oil”, it is the oil that is extracted from the seeds. While the most well-known uses of flax have been related to linseed oil, commonly used in oil paints and varnish, you will be delighted to know that flax seeds have abundant advantages if consumed. They are the healthier option for those considering losing weight, stabilizing cholesterol or increasing their fiber uptake. These seeds take care about the mineral requirements of our body as well, so, we do not lose out on anything, we just gain! Dyslipidemia is the condition where the levels of lipids in our body is either below or above normal. This can lead to various heart diseases and obesity too. However, flax seeds have been proven to fix this problem. Dyslipidemic patients were to consume 30g of flax seeds, roasted, for a period of 3 months. Blood lipid profile and blood pressure readings were taken before and after the study. Flax seeds helped in improving all the parameters and also reduced the body weight. There was a reduction in the bad cholesterol (low density lipoprotein-cholesterol and triglycerides) and a raise in the good cholesterol, which is required by our body (high density lipoprotein-cholesterol). Flax seeds showed a remarkable reduction in the levels of certain substances such as tumour necrosis factor alpha and interleukin-6, which are present in the body at the time of inflammation. The subjects undergoing hemodialysis had to include 30g of flax seeds to their usual diets to see this change. In an animal model, administration of flaxseed oil downregulated the expression of various substances, for example, interleukin-8 and regulated the immune system responses as well. Diabetic rats, when introduced to flax seed oil, showed improvement in the liver and kidney, which are severely affected due to abnormal insulin levels. The lipid profile was also reduced. Flax seeds also served the purpose of reducing depression in an animal model by regulating the hormones involved in the build-up of stress. This occurred due to the omega-3 fatty acids and polyphenols (antioxidants) present in flax seeds. Cardiac degenerative diseases can be controlled with the help of flax seeds as they prevent the cells of the heart from undergoing the programmed cell death (apoptosis). This was made possible due to the presence of α-linolenic acid in the seeds. In an animal model, flax seed oil alleviated the inflammation and fat infiltration in the cells of the liver in order to prevent “fatty liver disease”. Similarly, we have chia seeds. The plant from which these are derived is “Salvia hispanica”. These seeds vary from white to brownish-black in colour and are edible. Chia seeds are a great source of proteins, fiber, omega-3 fatty acids and a huge source of other nutrients. They can be added to breads, yoghurt or smoothies to improvise on the texture or give a crunchy twist to the recipe. This happens when the chia seeds retard the production of certain proteins that lead to inflammation, such as fibrinogen and ceruloplasmin. Chia seeds are rich in dietary fiber. A study was conducted in which the effect of a high fiber diet was seen on the glucose and lipoprotein metabolism of some diabetic patients. In the study, dietary fiber was combined with a carbohydrate rich diet and by this, blood sugar levels improvised. A study was conducted that ensured that chia seed re-established the antioxidant system and improved insulin and glucose tolerance in dies induced obese rats. This occurred as chia seeds restored certain enzymes that break down the radicals that lead to oxidative stress. A few kinds of fats are necessary for the functioning of our body. An example is that of “omega-3 fatty acids” which are present in abundance in the chia seeds. The seeds have 25 to 40% of oil out of which approximately 60% comprises of omega-3 ALA (alpha linoleic acid). Such fatty acids that cannot be produced by our body. Experiments were carried out and it was found that seeds, such as flax seeds have the capability to reduce the cell proliferation or activate the synthesis of protective enzymes in order to prevent the formation of tumours. This is possible because of a substance called “lignans”. Lignans are chemicals that are linked to reduced cancer risk. Human breast cancer cells were introduced to mice and they were given dietary intake of flax for a period of 8 weeks. This reduced the growth of cancer by 45%. Since both, flax seeds and chia seeds have α-linolenic acid, both are involved in the elimination of colon cancer cells. This occurs because the α-linolenic acid prevents the adhesion, colony formation and invasion by the colon cancer cells; thereby downregulating their malignancy. Flax seeds are rich in soluble fibers. These help in the management of lipid levels, blood pressure and blood glucose. They also reduce inflammation and promote weight loss. The fibers are capable of reducing total and low-density lipoprotein cholesterol levels by approximately 5-10 % without disturbing levels of the required high-density lipoprotein cholesterol. In an overview of patent applications on flax seeds, it was observed that flax seeds have a lipid-lowering effect on humans. Flax seed could be used in the form of oil or grounded, to raise the high-density lipoprotein cholesterol and also, for treating heart problems. 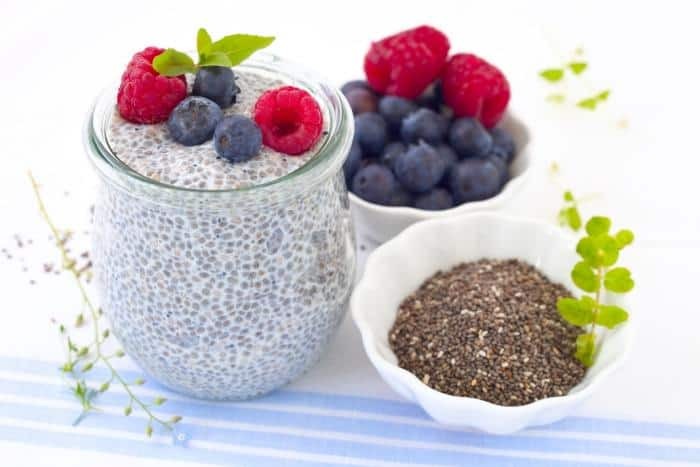 Due to the high fiber content of chia seeds, blood sugar levels and cholesterol have been proven to normalize. Insulin sensitivity is also improved, hence the utilization of glucose is better and other disorders can be prevented. A study published in “The European journal of clinical nutrition”, 2016, reported that subjects were to receive a 50g of glucose along with 25g of chia or flax seeds, in order to compare the effect of the two seeds. It was observed that chia seeds convert glucose into a slow-release carbohydrate which induces satiety and also reduced the glucose levels, more than flax seeds could. The fat in a sponge cake was replaced by an ingredient derived from flax seeds, known as “OptiSol™5300”, which, being fiber and alpha-linoleic acid rich, can replace the gums present in the cake. Including this ingredient brought about no significant changes in the cake height, flavor or texture of the cake. Hence, around 30% of the fat in a sponge cake can be replaced by OptiSol™5300 in order to make it better for the health. Chia seeds were used to replace fat in a hamburger patty and this made the hamburgers nutritionally more beneficial. Since chia seeds have mucilage properties and they form a gel-like substance, they can help in the formation of gluten-free pasta. It can replace the rice flour that may elevate blood glucose levels. However, chia seeds control those levels. An insulin imbalance is a very common cause of the onset of various disorders, including the metabolic syndrome. The effect of flaxseed mucilage was observed on obese postmenopausal women for an experimental period of 6 weeks. Flaxseed mucilage improved sensitivity to insulin. There was a significant change brought about with the help of dietary chia in the abnormal insulin levels in an animal model. The onset of insulin resistance was under control in animal model when treated with dietary chia for 3 weeks. When a model with already set-in insulin resistance continued with the dietary chia intake for a period of another 2 months, their disturbed levels of insulin resistance normalized. Copper is important for red blood cells and their formation, Chia and flax are both sources of copper. Chia consists of three per cent of the recommended daily intake, while flax has 17%. An ounce (28g) of flax seeds contain 7% of bone-healthy calcium, but chia seeds have more than double: 177mg or 18% calcium for a daily requirement. It is essential for the formation of teeth and bones. An ounce of flax gives18% of phosphorus for a daily requirement, but chia will provide 27% with its 265mg of phosphorus. Magnesium in 2% higher in flax seeds and helps fight cancer. Flax seeds contain 1% more of potassium than chia seeds. Flax seeds consist of 9% more of vitamin B1, which boosts the brain. Folate is very helpful for women in order to prevent neural tube defects during pregnancy. Flax seeds contain 1% more of folate than chia seeds. Chia seeds have less fat and calories than flax seeds, however, flax seeds have lesser carbohydrates as compared to flax seeds. Chia seeds as well as flax seeds have similar amounts of protein, that is 4.4 grams and 5.1 grams respectively, per ounce. But, chia is a complete protein. This means that it has all the amino acids in it which are required to form proteins. This can be a huge benefit for those who go vegan and wish to avoid animal protein. Chia seeds and flax seeds are rich in healthy fats. These fats are the omega-3 fatty acids, required by our body. A serving of chia has 4915mg, whereas flax seeds have 6388mg of omega-3s per serving. An ounce of chia contains 10.6g of fiber, or 42% of your recommended daily intake, whereas, flax seeds contain 7.6g or 31% for flax. About 2 tablespoons of flaxseeds per day can prove to be beneficial. Chia seeds can be eaten either ground or whole, the quantity being 15 to 20g per day. It would fulfill the requirement of omega-3s in the diet. For those wish to normalize their insulin resistance can increase their intake slightly. One can add these seeds to breads, yoghurts, or make a gel and store it in the refrigerator for future use. To make chia gel, chia seeds can be mixed with any beverage, or even water. The soaked chia seeds absorb all the liquid and form a gel. This gel may look jelly-like. The proportion however should be 1 tablespoon of chia seeds in 1 cup of liquid. The gel should also be stored in the fridge.The gel can be mixed with fruits, yoghurt or smoothies and help give these a boost of nutrition and raise their capability of hydrating the body. Flax seeds must be eaten ground, the whole seed might pass through the digestive tract, unable to deliver its benefits. To prevent oxidation, ground flax must be stored in refrigerators., or it might begin to taste foul. Avoid consuming water after eating chia seeds to prevent them from swelling in throat and causing choking. Either eat ground chia seeds or pre-soaked chia seeds. Flax seeds and chia seeds have their own benefits. They both help in reduction of lipids, flax seeds can prevent cancers and chia seeds can help with diabetes. One can choose and form a diet plan including whichever seeds they require, according to their requirements.